The New Jersey City University (NJCU) Business Development Incubator (BDI) is an integral part of the Smart Growth Redevelopment Plan for Jersey City-Westside and is located in a designated New Jersey Urban Enterprise Zone. BDI facilitates the formation and development of technology-based entrepreneurial ventures with higher-skill, higher-wage jobs, helping them survive and grow during their critical start-up period. 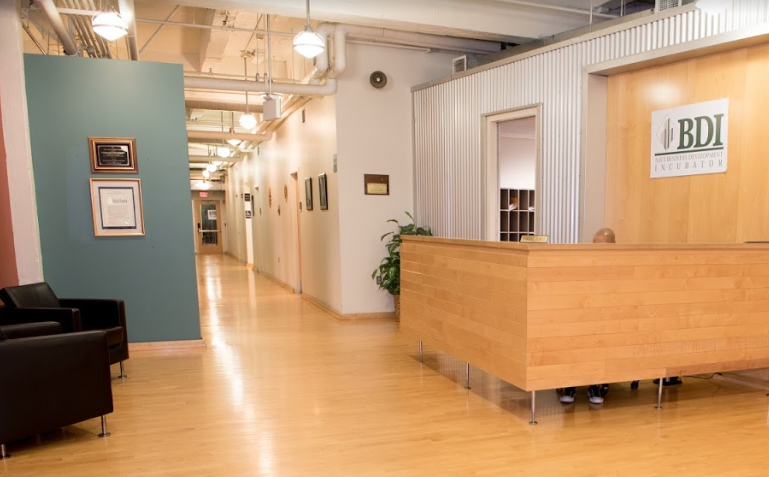 BDI assists young, small companies to commercialize their products, processes and services by providing private office space, shared office resources, and access to technical, financial, legal, marketing, and management assistance. The combination of multiple entrepreneurs working in a professional-grade facility with low overhead and the active support of experienced business advisors creates an atmosphere in which young companies thrive. BDI also provides intern employment opportunities for NJCU students where they gain real life experience and learn values, ethics and professionalism. Our goal is to help the start-up business launch from BDI as a healthy, growing and viable company which will create jobs, improve the city’s economic presence in Jersey City, Hudson County and the state of New Jersey, and to revitalize the immediate neighborhood. The BDI, which opened in June 2005, has to date graduated 53 companies and currently serves 20 companies, which combined have created or retained more than 250 local jobs. Please download and complete the following Application and return it by mail or electronically to BDI, along with a non-confidential Executive Summary from your Business Plan. We will review your Application promptly and may then request a meeting and/or more information. Admission Guidelines: To apply, you should be a New Jersey based “for-profit” business with a commitment to remain in New Jersey. For additional details, please download and review the application.